I've been through hell with my eyes. It is the biggest mistake I've made in 2013 so far.. I was with my friend and she was doing her lashes. 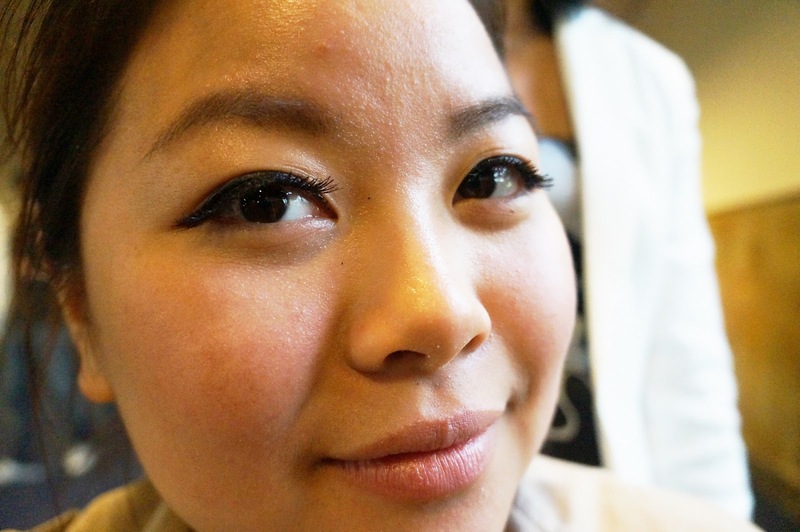 She wanted to have eyelash extensions which means that it will be semi-permenant (for about 3 weeks). Me without really thinking joined her. Who wouldn't want perfect long eyelashes? And it costs about 25 euros. Lesson 1: Google the price of salons where they do this as well. I learned that this the price I paid is ridicousily cheap compared to the prices of salons. I did it with a lady who comes at your home. Lesson 2: Try to find reviews of the lady where you're planning to go. Or see pictures of other customers. Now, I didn't know anything since I just followed my friend.. She had seen it on a friend of hers.. What your friends likes do NOT automatically means that you'll like it! When she was done with my eyelashes, I was happy with it. I had perfect eyelashes from the front. I didn't realize how fake it looked from above. A day later, some people said it looked nice and I noticed that they all thought that I used fake eyelash-strips. Which was not true, cause she put individual eyelashes on me. This was where I started to realize that it shouldn't look like a strip, it should be natural and blend in with your own eyelashes. This is where it bothered me more. The day afterwards I tried to make it appear more natural but failed and it began to itch more throughout the day, so I tried to take it off. The lady said that it can be taken off with just oil, but I can tell you that it wasn't easy.. After struggling for a few hours I looked up on google and read and saw pictures of good eyelash extension application, it definitely didn't look the same as mine! And even went to see salons nearby where they do it and saw how the apply it.. It looked a lot more professional. I should've known better when she used a plastic spoon to apply the glue.. With a sad face and a plan to go to the salon I went to bed. The next day I woke up with a slightly swollen eye on the left. I was so fed up with it, but my eyelashes actually felt better because the previous day I applied oil on it. But I was still bothered with it and want it OFF my face as soon as possible. Unfortunately I didn't make it to go to the salon because of projects and workshops at uni. At home I googled one more time for bad eyelash extensions and then I knew for certain that I have been fooled at. The lady applied wayyy too much glue on the eyelashes. No wonder that it couldn't get off my face. Anyway I was determined to get it off today, because I wouldn't have any time tomorrow and I have a birthday as well.. So I grabbed my makeup remover based on oil and stood in front of a mirror for over 3 hours to take it off. I didn't care how much it hurt. It hurt like hell though! It felt like a cat is scraping my eyes out. I didn't even care how much eyelashes I'll lose.. As long as I can rub my eye without stinging my eye with the rockhard fake eyelashes.